Bushiri court case postponed to Wednesday - SABC News - Breaking news, special reports, world, business, sport coverage of all South African current events. Africa's news leader. Prophet Shepherd Bushiri and his wife appeared in court on charges of fraud and money laundering. 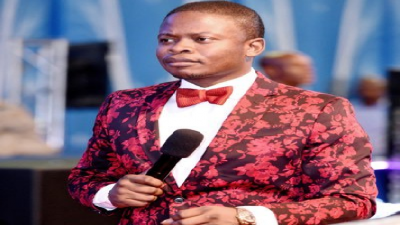 The fraud and money laundering case of Enlightened Christian Gathering church leader prophet Shepherd Bushiri and his wife Mary has been postponed to Wednesday. The court granted the postponement to allow defence lawyers to prepare for a bail application. Meanwhile, charismatic church leader prophet Paseka Mboro Motsoeneng is among those who are at the Special Commercial Crimes Court in Pretoria where the controversial Enlightened Christian Gathering church leader prophet Shepherd Bushiri and his wife Mary is due to appear. Prophet Mboro says he is there to give moral support to the couple. The Hawks arrested the couple in a hotel in Rustenburg on Friday. Mboro says it is unfortunate that the couple was arrested after the CRL Commission cleared the ECG church following the deaths of three women at the Tshwane events centre in December last year. Bushiri and his wife will appear in court on charges of fraud and money laundering. This entry was posted on 04 Feb 2019,11:31AM at 11:31 AM and is filed under South Africa, Homepage Latest Stories Slider. You can follow any responses to this entry through the RSS 2.0 feed. Both comments and pings are currently closed.